Mother's Day surprises were aplenty this weekend, including a big one for the U.S. women's World Cup soccer team. Due to their demanding schedules, it's been years since many of the players have seen their moms on Mother's Day. In a very sweet video uploaded to Facebook and YouTube by Fox Sports, the team sat down for a pre-game dinner, and their coach introduced special surprise guests—their moms. The mother-daughter reunions are lovely to watch. Maybe even more remarkable is seeing a second surprise happen—check out the video to see what it was. "Abby's been on this team for 14 years. 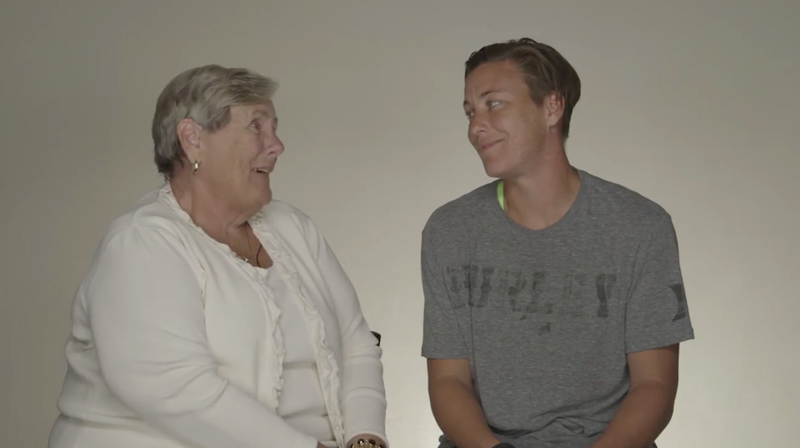 For 14 years, I have not had you around for a Mother's Day," says Abby Wambach's mom, Judy. The video cuts to the two of them standing side by side on the field. The team won the Ireland game 3-0 with their moms watching. Wambach scored career goals 179 and 180, and turned around after her second goal to point at her mom. Heartwarming and inspiring all around.